Six-foot, 195 lb right-winger David Pastrnak was drafted by the Boston Bruins with the 25th overall pick during the 2014 NHL Entry Draft in Philadelphia. It was a very emotional moment for the native of Havirov, Czech Republic as his father and former coach Milan had passed away with cancer just a year earlier. Milan, who also played pro hockey, always knew his son had what it took to reach the NHL and his vision had finally come true. Pastrnak attended the Bruins’ training camp a few months after the draft and was signed to a three-year entry-level contract prior to the 2014/15 season. 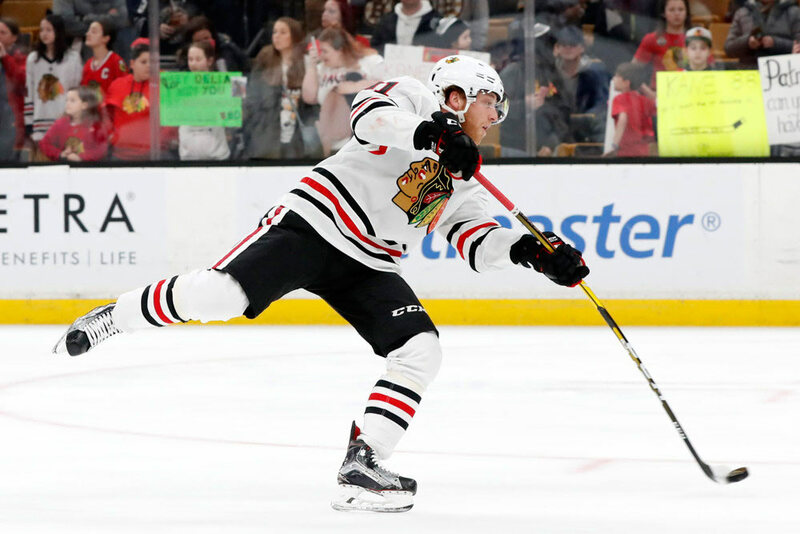 He was assigned to the team’s American Hockey League affiliate the Providence Bruins and lit up the lamp with 11 goals and 17 assists for 28 points in just 25 games. His fine play on the farm earned Pastrnak a call up to Boston in November. He didn’t find the back of the net until January of 2015 though when he netted a pair of goals on the road in a 3-1 victory over the Philadelphia Flyers in the same rink he was drafted. 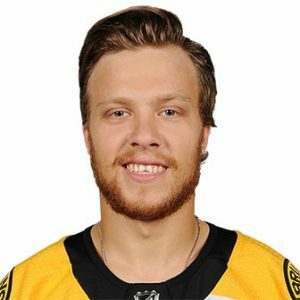 At the end of the season Pastrnak, who was now affectionately nicknamed ‘Pasta,’ had contributed 10 goals and 17 assists for 27 points in his 46 NHL contests. Being just 19 years old, the future looked bright for the teenager and he suited up for 51 of Boston’s 82 games in his sophomore season. He took a slight step backwards however by posting 15 goals and 11 assists for 26 points. He missed part of the campaign though when the Bruins allowed him to represent his homeland at the IIHF World Junior Championships. His first true full NHL season came in 2016/17 when Pastrnak played 75 games and notched 34 goals and 36 assists for 70 points to rank second in team scoring. 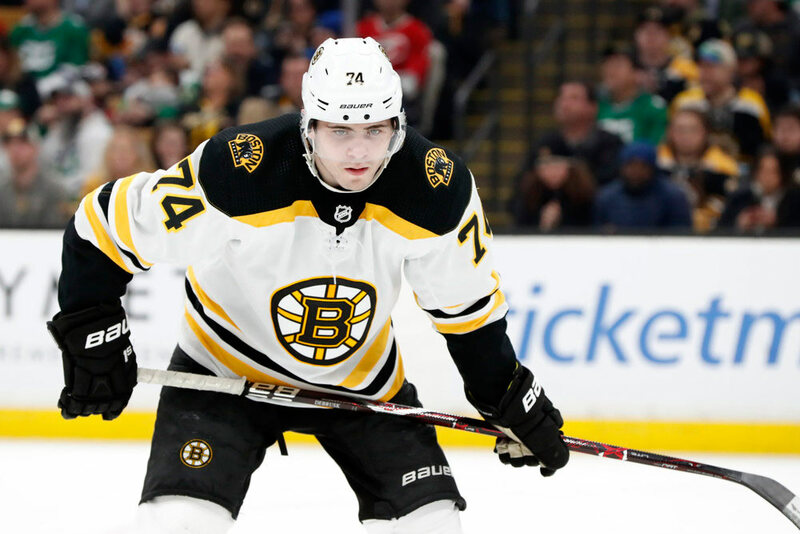 The Bruins knew by now they had a young star on their hands and secured the restricted free agent’s services for the next half dozen seasons with a $40 million contract. Still just 22 years old, Pastrnak posted even better numbers in 2017/18 by scoring 35 goals and adding 45 assists for 80 points and also managed to suit up for all 82 games. In addition, with his linemates left-winger Brad Marchand and center Patrice Bergeron, Pastrnak was now a member of one of the best trios in all of hockey. The line is considered one of the most effective 200-foot units in the league with Bergeron scoring 63 points in 64 games in 2017/18 and Marchand also adding 63 points in 68 games. Pastrnak has shown a knack for scoring clutch goals as he had 17 game-winners and three overtime markers by the time he was 22. Pastrnak has proved he can also produce once the tight checking and pressure of playoff hockey begins as he’s scored eight goals and 16 assists for 24 points in 18 postseason games including 20 points in 12 contests in 2017/18. In April, 2018 Pastrnak scored three goals and three assists in Boston’s 7-3 home rout over the Toronto Maple Leafs in the playoffs. The feat meant he became the youngest player in league history to post six points in postseason game, breaking Wayne Gretzky’s old milestone. Overall, Pastrnak is a quick, gifted skater and natural goal scorer who doesn’t have a problem creating chances for his linemates and himself. He’s likely to improve in the coming years as he gets physically stronger and appears to have a long, successful career ahead of him.